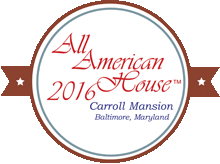 The All American House|2016™ is a collaboration between MADE: In America and Carroll Museums. This event is a national showcase of the best in American design and features contemporary American products set in the context of an iconic historic house property. The All American House will be open to the public May 1 through July 10, 2016. 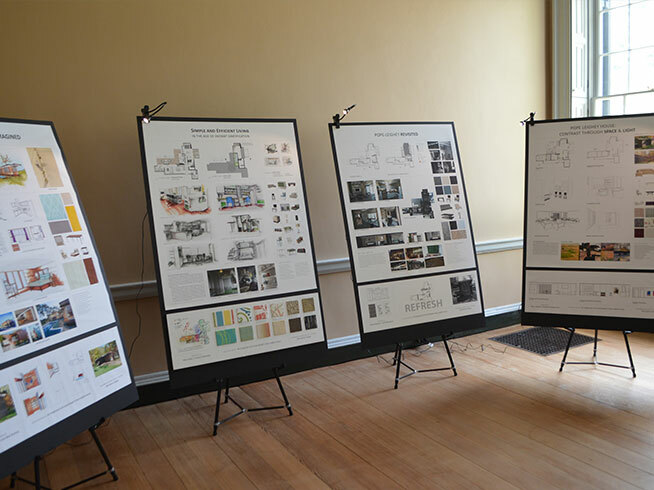 The All American House is bringing together student teams from the Johns Hopkins University Carey School of Business; the George Washington University, Corcoran School of Design; Morgan State University; Stevenson University and the Community College of Baltimore County to reinvent the interiors of Carroll Mansion and create designs that establish the standards for a new and distinctly American design aesthetic. The design competition will be juried by a panel from the American Society of Interior Designers (ASID). With support from The United States Department of Commerce, Office of Textiles and Apparel (OTEXA) and MADE: In America, the students will be able to furnish their rooms with products from leading American manufacturers with a special emphasis on Maryland based companies. These companies have been chosen for their superior products and commitment to manufacturing their products within the United States. Internationally known designer Alexa Hampton is the Honorary Chair of the Event Steering Committee that consists of members of the Maryland delegation to the US Congress; members of the Maryland General Assembly; leading business executives and nonprofit leaders. Noted architects, designers, artists and curators also serve as special advisors and mentors. With support from the City of Baltimore, Baltimore’s American Treasures Affiliates Network™ extends the scope and impact of the All American House city-wide. Carroll Mansion: The All American House will serve as the epicenter of the Treasures network and launching point for visitors to explore the affiliated sites and organizations. Each affiliate is a designated American Treasures Heritage Site and host tie-in exhibits and programs, including the prestigious American Treasures Culinary Experiences. Baltimore’s American Treasures program ensures that the All American House serves as a catalyst for long-term, city-wide growth and transformation. “This is an amazing opportunity to showcase nationally, Baltimore’s creativity, industriousness, and resiliency. 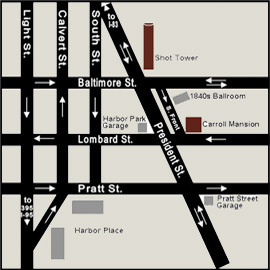 For the Carroll Mansion, it is a catalyst to become a sustainable and active cultural site.